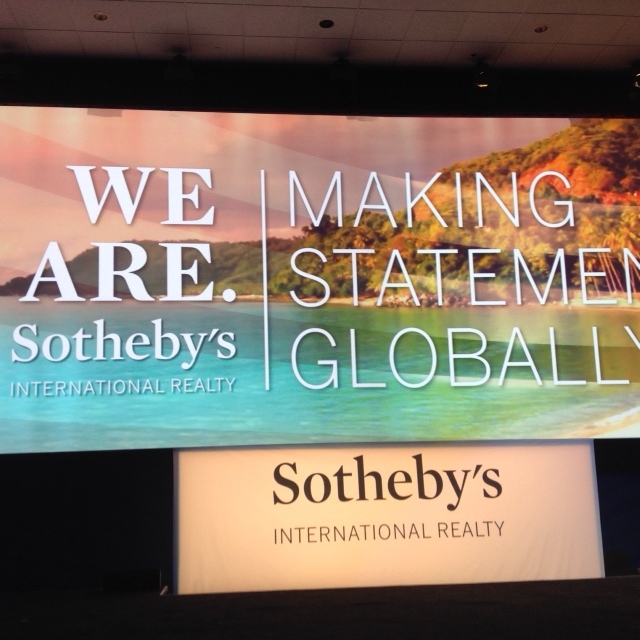 The 2014 Sotheby’s International Realty Global Networking Event took place last week, over 2.5 days at the Fontainebleau Hotel in Miami Beach. It was intense and even exhausting as I tried to maximize my networking opportunities with other Sotheby’s International Realty agents from all over the United Sates and the world, while attending presentations, lunches and dinners combined with the lack of sleep that these conventions usually come along with. it was also rejuvenating and empowering to meet with so many colleagues, all of them carrying the values of the same brand across the country and the five continents. 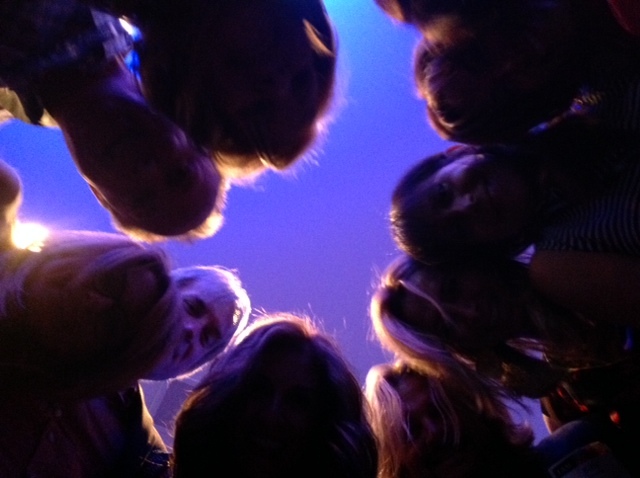 I was told were 2,500…It was really pleasant to meet again or create great connections with agents and office managers from the New York, Los Angeles, San Diego, Rio, Buenos Aires, Dubai, Hong Kong, Sydney, New Delhi, Paris, Courchevel, Geneva and Lisbon. 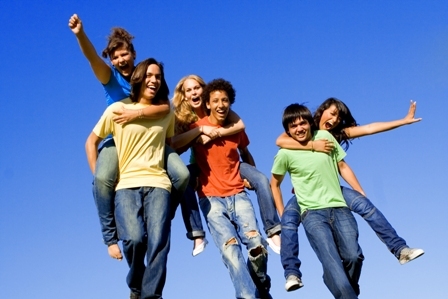 The objective is to make connections with our peers across our planet in order to be able to offer global real estate services to our clients who usually have several properties in various cities and countries. It’s also much nicer to know the person I refer a buyer or a seller to. It helps offer a larger portfolio of services, including potential partnerships with the Sotheby’s auction house. These conventions also aim at reinforcing our attachment to the Sotheby’s and the Sotheby’s International Realty brands and our leadership and sales skills through a series of presentations and workshops. Alfredo Gangotena, the recently appointed Chief Marketing officer for Sotheby’s, showed us the new advertising campaign video before it goes public. It is a gorgeous campaign; combining the 270 year legacy of the auction house with sounds and images of contemporary art and music. Sotheby’s recently chose TBWA London to create a new, elegant yet more thought-provoking global brand campaign as well as marketing material to support its art, jewelry, diamond, antique and wine auctions. Also, it was announced that Sotheby’s will break into a more accessible market, reaching out to art collectors and life connoisseurs who are either younger or who do not necessarily belong to the ultra wealthy category by creating a partnership with Ebay. Sotheby’s will offer expanded auction opportunities for prints, photos, wines, etc…Also a new lifestyle magazine, “Art and Home”, will be launched. It will offer editorial content related to art, antiques, traveling, real estate and should become a great communication tool to link the real estate to the art businesses. Wendy Purvey, the Chief Marketing Officer for Sotheby’s International Realty, underlined the outstanding media partnerships which offer incomparable international exposure to our clients’ properties for sale : from he websites of The New York Times, The Wall Street Journal, Architectural Digest, Bloomberg to Hong-Kong Tatler and The Daily Telegraph. She also mentioned that Sothebysrealty.com, the global real estate website of the company, has reached 1 million visit per month and Sothebys.com, the website of the auction house, is is leading source of traffic. 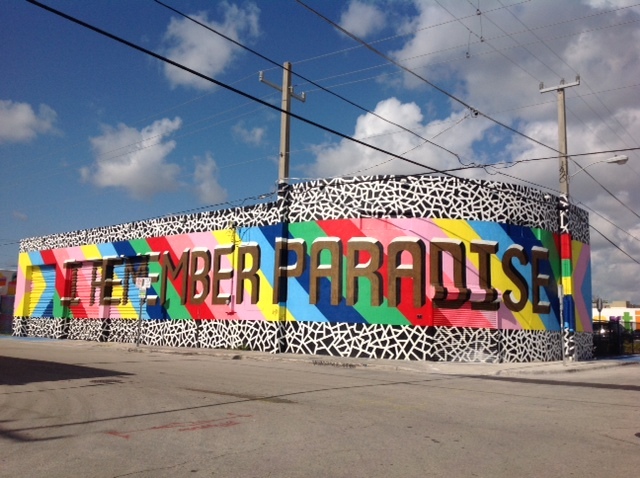 Is Wynwood losing its soul ? I first started going to Wynwood back in 2006, when I was involved in participating in a couple of committees at MOCA, The Museum of Contemporary Art North Miami, which had a second exhibition space , “Moca at the Goldman Warehouse ” ( now the space for The Miami Light Project ) for a few years. No one around me would dare driving West of Biscayne Boulevard, North of Downtown Miami. 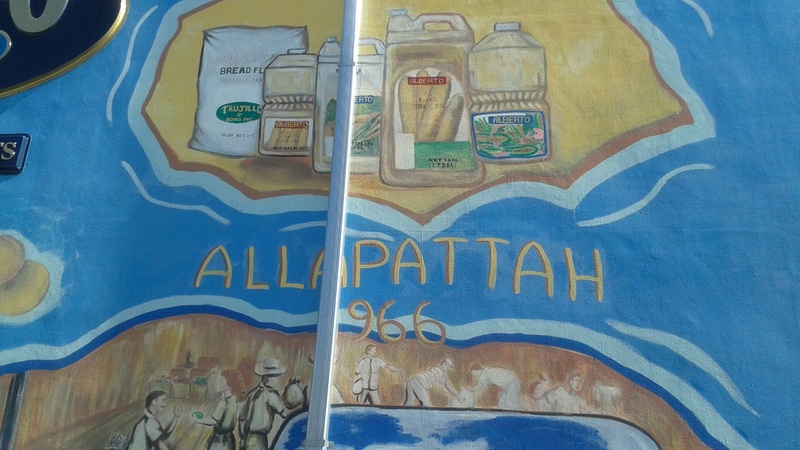 Then, some of the storage and distribution warehouses turned into art galleries and the Second Saturdays Wynwood Artwalks promoted the area, first to the local artists and their friends as well as to art lovers, then to the food trucks and to families looking for something cool to do one evening a month. After seven years, the area has become much more popular, a sort of Shoreditch ( London ) or MeatPacking District ( New York ) in the making, welcoming working spaces for start-ups, thick beard tech guys walking around, cafes, restaurants and shops such as Ducati and soon to open Nespresso Cafe. Bringing more life and shops to Wynwood is great except that as new brands are coming in and rents/sales prices are soaring, a new type of animal wants a piece of the cake and be part of this area:condominiums. It is undeniable that besides Cynergi Lofts, there is a total lack of residential options in the neighborhood. This is about to change with a few mixed-used buildings ( residential buildings featuring office or retail spaces on the first floor ) in the pipeline and the ongoing rezoning of most of the area to allow for more retail spaces, parking and a higher housing density. Is Wynwood going to lose its soul while buildings are arriving and some art galleries are not renewing their leases, being somehow pushed out by landlords asking for much higher rents ? 250 Wynwood and Wynwood Central are two of the residential buildings which are going to break down in the upcoming weeks. Bradley Carlson and David Polinsky, the developers behind 250 Wynwood, which first renderings for the architecture of the proposed building were recently published in The Miami Herald , will be building a boutique building at 250 NW 24 street. They claim to be concerned about keeping the character of Wynwood alive by incorporating graffiti style artwork inside and outside the building via a partnership with gallerist Anthony Spinello and by offering an edgy architectural style. 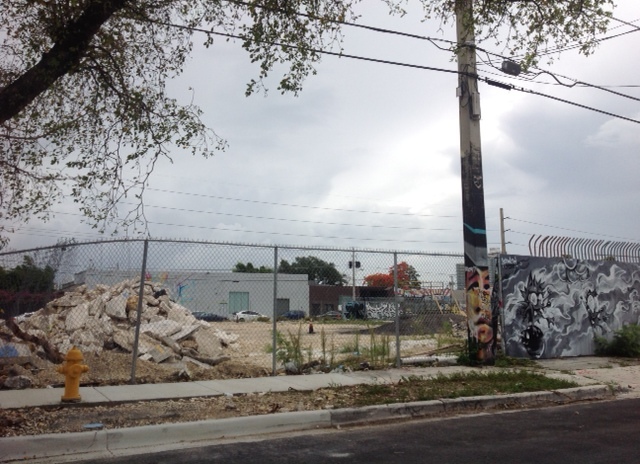 Central Wynwood will combine 69 rental residences, as well as retail and commercial spaces. 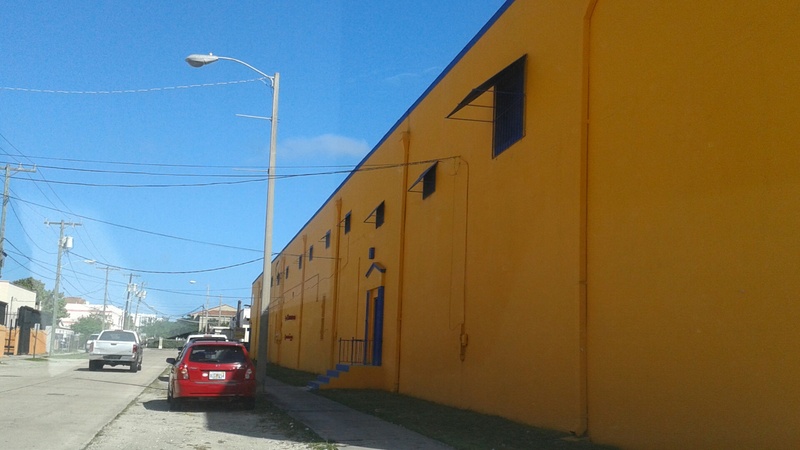 However, New York developer David Edelstein is looking to get approval for the construction of a 264 unit condominium… In the meantime, quite a few investors and buyers in need of large warehouse and showroom spaces as well as artist studios and art galleries are moving out of Wynwood, where prices per square foot to lease or purchase are now more accessible. As I was recently driving around Doral, I just could not believe how the city was changing, from being either a suburban area accommodating guests of the famous Trump National Golf championship golf course or an industrial zoned city to becoming a town where residents will live, work and play. Doral is transforming itself into an urban area, attracting a higher number of residents and investors who are getting tired of the soaring real estate purchase prices and rents in Brickell, Downtown Miami or Miami Beach. Did you know that Doral only has approximately 16,000 homes/condos when 200,000 people are currently working there every day ? 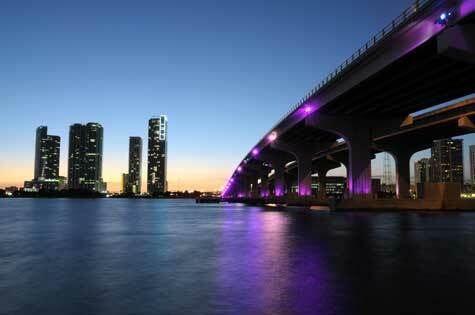 This City hosts a brand new, contemporary-designed city hall, the headquarters of The Miami Herald, Carnival Cruise Lines and Univision as well as the regional offices of the Federal Reserve and Pepsi Cola, amongst others. As I was driving by blocks of empty land, one after the other, I realized the magnitude of a real estate project currently being developed there. 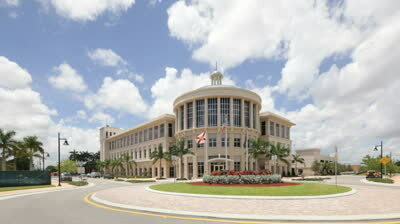 Downtown Doral is a new, massive, 120-acre real estate project developed by Codina partners. It will include several residential and office buildings, townhouses, a 3-acre public park featuring outdoor sculptures by artists John Henry and Michele Oka Doner, a K-5 charter school and a variety of shops and restaurants aligned along a few sidewalks. 5252 Paseo is the first residential building to be built, chosen designer is Adriana Hoyos ( who has a showroom in the Design District ) and groundbreaking is planned for this summer. Its asking prices range from $390,000 to $839,000 for 2 and 3 bedrooms and many units offer a view on the Doral golf course. The second residential building is being launched now. This is a great opportunity to own a newly built home close to one’s work place or a smart way to invest in an area that is more affordable than Brickell or Miami Beach and where the price of land are on the deep rise. Also, as Doral is growing, land for large industrial spaces is getting more scarce and warehouses are selling at increasing prices. This trend is not going to stop anytime soon, considering the current need for large storage spaces in Miami-Dade County. When it comes to analyzing the Miami office market, a few areas draw the attention of institutions, investors and CEOs of large companies : Aventura, Brickell, Doral, Kendall, South Miami and Coral Gables, however Coral Gables seems to be immune to the ups and downs of the South Florida real estate market and offers the most stable office market in Miami-Dade. The Coral Gables office market presents a great working environment : fine restaurants and shops, a safe environment, a combination of new and historic office buildings, and proximity to the Miami International Airport. A few office building sales which were taking place over the past few months are showing that this market continues to attract investors as well as owner-users looking to establish themselves at the center of the Americas. 800 S. Douglas Entrance, a 467, 325 sf office complex located at the entrance of Coral Gables, got recently sold for $101 millions. 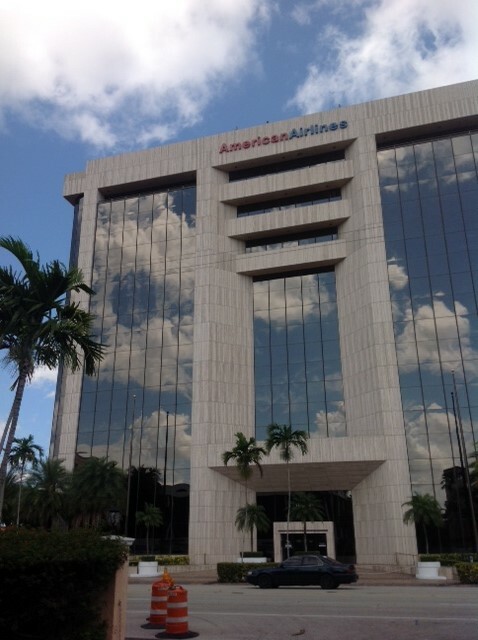 901 Ponce de Leon Boulevard, also called “the American Airlines building” as the airline leases 25 % of its space, is a 177,848 sf office building, 96% leased, which sold at the beginning of 2014 for $23.5 millions. 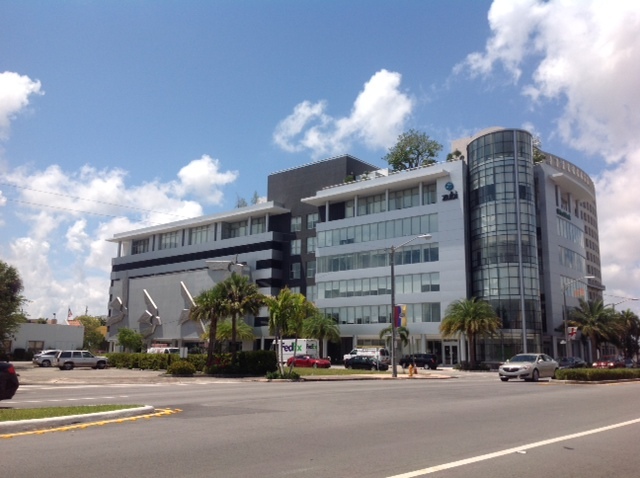 The very contemporary looking grey building at 2990 Ponce de Leon Boulevard, which is 128,047 sf, was built in 2012 and 35% leased, hosting First Bank Florida, sold in January 2014 for $25.5 millions. 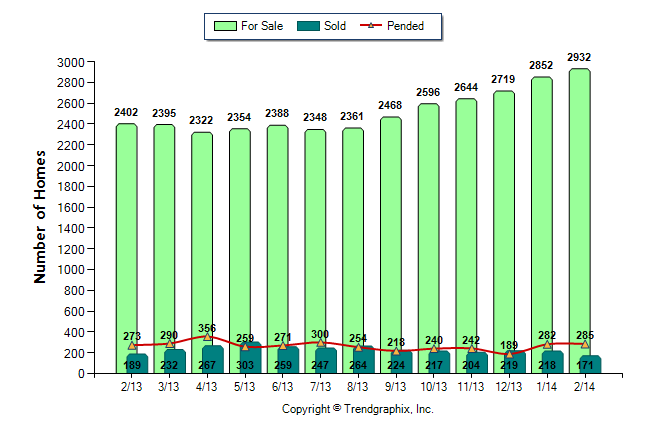 After three years of steady increases in the sold prices of residential real estate in Miami-Dade, the market seems to be cooling, leading to an increase in inventory of properties for sale. In some areas, like South Beach or Brickell, the prices do not seem to go down but it’s taking more time to find buyers. The two charts below are illustrating this. 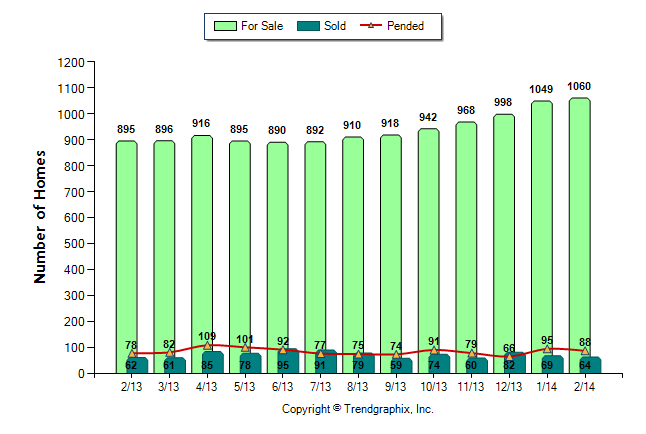 I took a higher price range for houses as it is a bit challenging to find a high number of single family homes for sale in Miami for less than $ 1 million. The inventory increased by 18 % in a year, between February 2013 and February 2014 for houses and by 22 % in a year for condos. This inevitably means that the market is calming down, that it now takes more time to sell a property than it did a few months ago, and that there is a higher competition for properties for sale. Therefore, it’s getting increasingly essential to find the right real estate agent, who will know how to properly price the property for sale and offer a local and international marketing plan to market it the best possible way.